Rope bracelets are everywhere these days so I decided to make my own. I hit up Michaels to get everything I needed for my little DIY project. It all came out to about $20 and I can make as many as I want instead of buying a set at some store. Plus you can do a little bragging and tell everyone that you made them yourself. 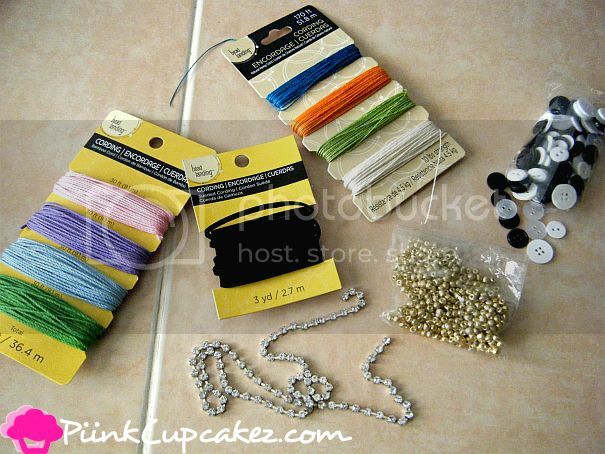 Cording in the colors of your choice, string of rhinstones, beads, and buttons. I'll be making more in other colors. 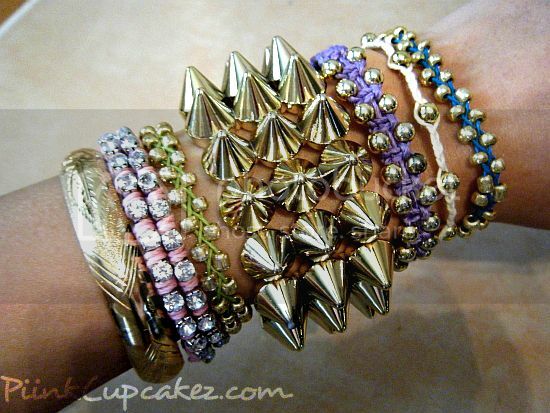 Have an arm party by stacking and mixing them up with other bracelets. Wow! This is a great idea. Thanks so much for sharing. 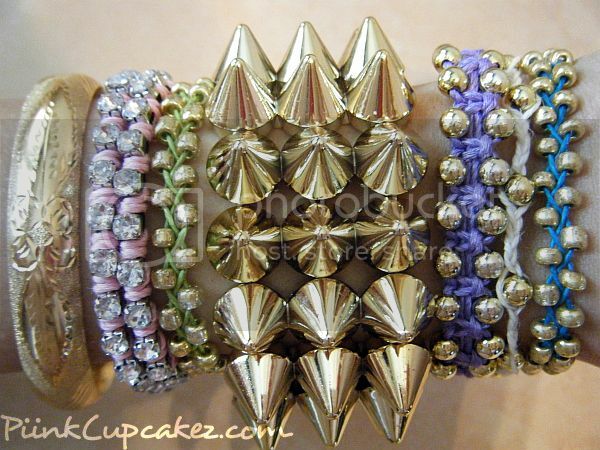 - I loveee these ! This is EXACTLY what I was planning to do!!! This one post has got yourself a new follower! Lovelove!